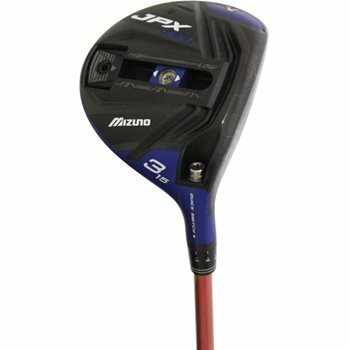 The Mizuno JPX 900 fairway woods offer Mizuno’s signature package of incredible playability and forgiveness. First, Mizuno took its advanced Fast Track sliding weight system and improved it so now the updated design has a 15 gram sliding weight on the sole which allows players to adjust the spin of their ball. Next, the JPX 900 has Mizuno''s quick switch shaft release system, allowing players a 4 degree range of loft adjustment (+/- 2 degrees). The JPX 900 woods are capped off with Mizuno’s Waffle Crown and Shock Wave Sole technologies, both of which lead to better impact and longer shots.